And welcome to Indie Week. I have about 3 Indie Weeks planned over the next 4 to 5 weeks. Why? Well er because I bought so many (hangs head) but they're so pretty!!! Some of these swatches are a little old now - I think I bought most of these before April, but I'm finally releasing them into the wild :). 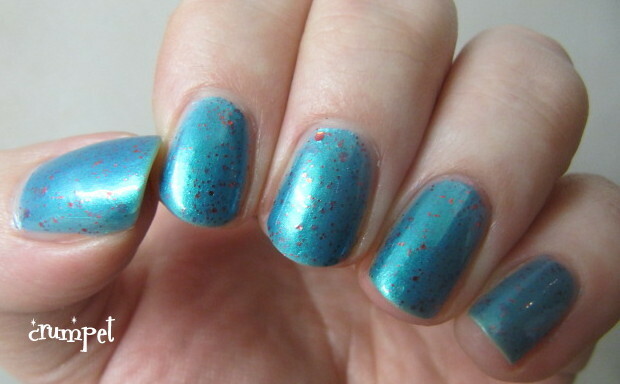 We're Gonna Need A Bigger Boat (WGNABB) is a gorgeous blue jelly with microscopic-to tiny-to small copper glitter and it's crazy gorgeous. This took 3 coats for opacity, and was somewhat jellyish, but I think I would prefer to do this again than layer it. Why? Because the blue is so amazing and *almost* indescribable. 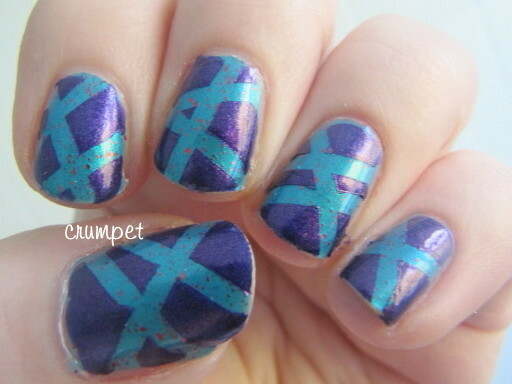 In the bottle, this is quite a medium-dark blue, and it does dry a little lighter on the nail. It's like a jade-tinged turquoise with a dash of royal blue too. The blue is bright, but has a petrol-type green phosphorous haze to it, that floods it with green every now and then. That's not to say it's a duochrome, because it absolutely is not, but this is bright blue, petrol-aqua-blue and jade-blue all rolled in to one. The copper glitter provides the perfect accent - it's just sublime. 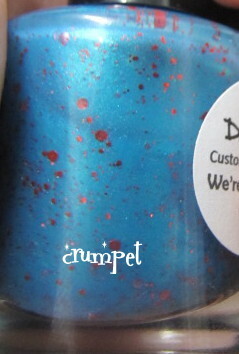 It's quite fitting that a polish named after a famous line from Jaws should be so jaw-droppingly beautiful. Finally, on the 2nd day, I used this as a base for a tape mani, and this became Recycled Nails, beautifully layered with Zoya Savita, which just clashed perfectly with it. Brit Nails - Models Own Buff Pink = Glitterfish! Guest Post - Geeky Owl - For The Love of Green! Superheroes v Villains - ULTIMATE VILLAIN !!!!! So What's Coming Up Next on The Crumpet? Stamping Sunday Meets Recycled Nails - Circles!